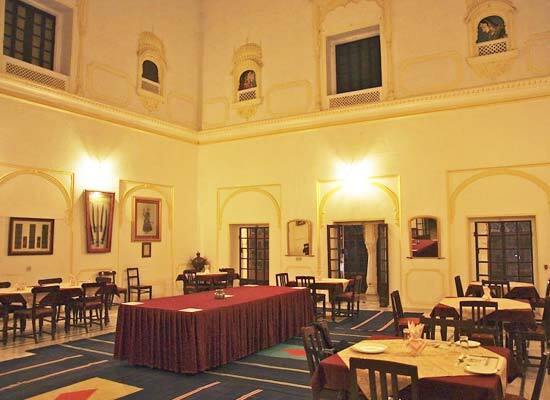 "Boasting of vibrant interiors and impressive exteriors, Roopnagar fort is one of the most popular budget heritage hotels in Ajmer. 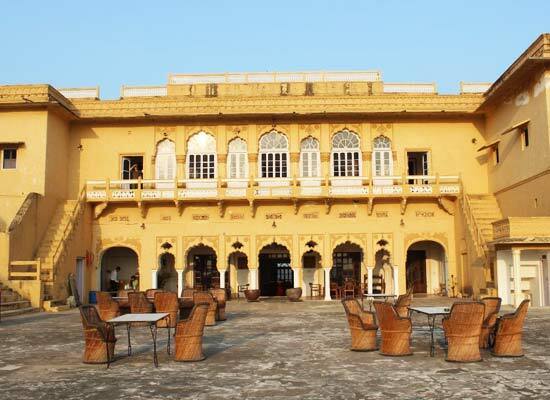 A beautiful fortress built by Maharaja Roop Singh of Kishangarh in the year 1648, this property has huge rooms and suites that come with all the world-class comforts needed for a memorable stay. At the on-site dining venue, the guests can savor lip-smacking delicacies using recipes straight from the royal kitchen. Exciting indoor and outdoor activities are also organized. Library, swimming pool, medical assistance, room service, and laundry are some of the other modern conveniences. The fort was built in the year 1648 AD by Maharaja Roop Singh of Kishangarh for the defense of the district. 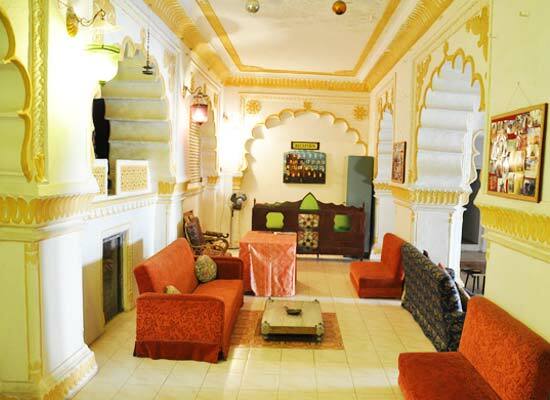 The fort was once used to protect the town but now the fort is one of the main heritage hotels of Ajmer. 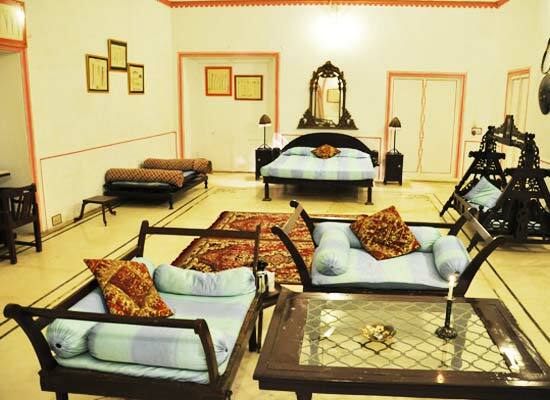 This fort with its traditional decoration and hospitality welcomes guests and serves them with warmth so that they can treasure their trip to Ajmer and their stay at the Roopangarh Fort. 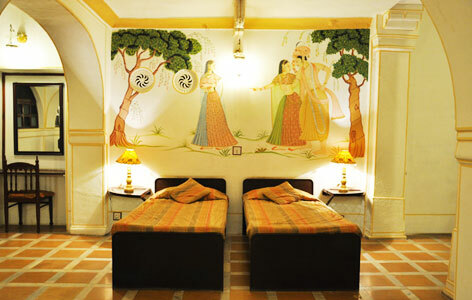 There are both double bed rooms and single bed rooms out of the 20 occupancies. The rooms are well equipped with all modern amenities like televisions, direct dialing telephones, and attached baths with hot/cold water. The pick of the rooms in the fort is the Queens' suite which is wonderfully designed and decorated with all antique artifacts and portraits. The room truly portrays the rich historic past in its various decorative items and royal ornamentation. The in-house restaurant offers different kinds of Indian cuisines and their specialty is the authentic Rajasthani cuisine the recipes of which have been handed down from previous generations. Choose from the lavish spread of Chinese, Continental and Thai if you want to taste other delicacies. Ajmer is one of the main tourist destinations in Rajasthan. A tour to Ajmer unveils the glorious history of Rajasthan. In 1611 A.D Kishangarh was occupied by kings of the neighboring country and finally in the year 1648, the fort was constructed, that made the land important in the pages of history of India. The city is well-accessible by all modes of transport like rail, road and air.